My answer, upon my maturely considered judgment, is it will be a Britain unimaginably wracked by dissension and violent disorder, not recognisable as the same nation as it has been, or perhaps as a national at all. Let those in positions of responsibility who disagree with my judgment declare their own in equally unequivocal terms. If the Prime Minister of this country holds a different judgment – I am not sure that she does – let her publicly say one of two things. She can say: “Mr Powell’s figures and his picture of the factual future are substantially right, but I believe it will be a happy and peaceful Britain, which we and I shall be proud to bequeath to the next generation”. Alternatively she can say: “Mr Powell’s figures and picture are mistaken: the true population proportions will be lower”. If she says that, however, she cannot stop there. She must tell the country what she believes those lower proportions will be and why; and having done so she can then, if she wishes, go on to make the same asseveration about a happy and united Britain. The time of truth is coming at last for those who sit in the seats of authority… The nation will insist upon knowing what they intend to do. It seems likely the press will ask you to react but there are dangers in doing so on this scanty basis. I would refuse to be drawn. To change the subject for a moment, Prime Minister, you may be aware that in England today Mr. Enoch Powell has spoken following the Handsworth riot and he has suggested that the African and Asian population of Britain should be reduced by a Government programme of repatriation. Do you regard that as a helpful or unhelpful statement at this time? Mr Powell is an Ulster Unionist. In Ulster there is no Conservative Party; it is the Ulster Unionist Party and the question therefore is whether the Ulster Unionists would get closer to the Conservative Party. When I first came into Parliament in 1959 they took the Conservative Whip—you are familiar with the phrase —Conservative and Ulster Unionists went to the same back-benchers’ committees and tended to vote together. Then, as you know, there were differences and they have not. So, it is not a question of Mr Powell being Conservative. There is no Conservative Party in Ulster; it is the Ulster Unionist Party. It may well be that their views on the main things in politics are far closer to ours than to socialism and that, I think, is going to be the ultimate question at the next election. But while Powell and Thatcher had similarities in their ideological outlook on many key issues, Powell was still a political liability and Thatcher dismissed (at least in public) any suggestions that Powell could be re-incorporated into the Conservative Party. Powell occupied a space on the political right in between the Conservatives and the fascist far right of the National Front and was able to vocalise many of the new right’s frustrations with the parliamentary Tory party. But as an MP for the Ulster Unionist Party, Powell was unable to capitalise upon the apparent popularity of his opinions and after the downfall of the NF at the 1979 general election, the right-wing vote had nowhere to go but to the Tories. 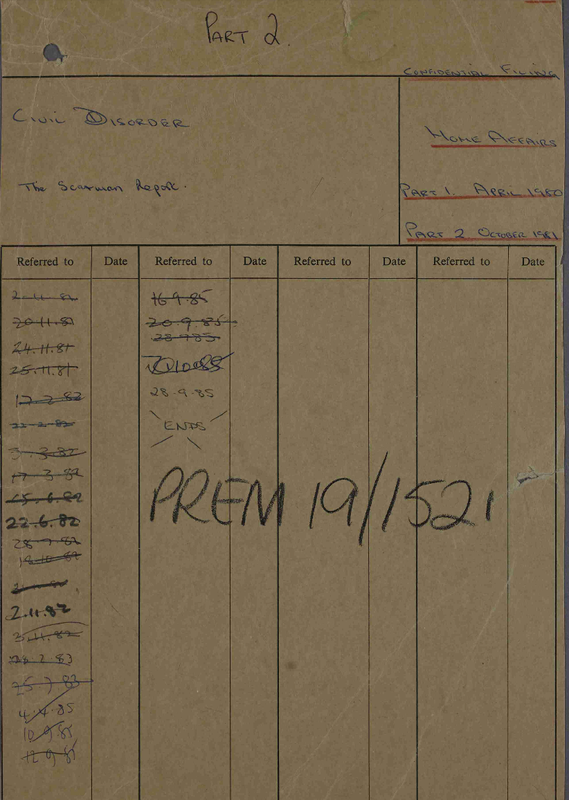 The National Archives have just released archival documents relating to the Thatcher government for 1985 and 1986, with further releases in July 2015. There have been many media reports already on many other aspects of the papers (such as the introduction of the Poll Tax in Scotland, the Anglo-Irish relationship and her love-hate relationship with Australian PM, Bob Hawke) but I thought I’d explore one of the digitised files that has been so far overlooked – a file on public disorder and the aftermath of the Scarman Report on the Brixton Riots, spanning from late 1981 to late 1985 (PREM 19/1521). As I have written before, the 1981 riots and the inquiry by Lord Scarman signified a low point in the history of Thatcher’s first term as Prime Minister, with public support for the government and for the police greatly dropping amongst large sections of the British population. From this position, the government generally accepted the recommendations of the Scarman Report and on paper, agreed to implement most of its recommendations. The most significant reform was the introduction of the Police and Criminal Evidence Act 1984 (which came into effect in January 1986), but scholars, such as John Benyon, have since argued about the effectiveness of the government’s other initiatives. Handsworth needs more jobs and housing. But riots only destroy. They create nothing except a climate in which necessary development is even more difficult. Poor housing and other social ills provide no reason for riot, arson and killing. One lady interviewer asked me whether the riots was not a cry for help by the rioters. The sound which law-abiding people at Handsworth heard on Monday night… was not a cry for help but a cry for loot. The police have clear evidence, as has Special Branch, that a group from Notting Hill with Far Left connections – entitled the Tabernacle Group – were present in Birmingham this week, and were the architects of a demonstration which it was intended should be filmed by the television cameras yesterday outside the Law Courts. the assessment from the Security Service is that there is no intelligence to suggest that any black or white subversive groups or individuals are planning civil disturbances or that they are considering how they might exploit any disturbances that might otherwise arise. If disturbances were to break out, some subversive groups would be likely to move quickly to extract the maximum political advantage from them. After the 1985 riots, Quintin Hogg, the Lord Chancellor, expressed in a letter to the Home Secretary’s staff: I hope the factual account of Handworth [sic] will either confirm or repudiate the impression I get which is that there was an element of deliberate planning there either by drug pushers or left wing anarchists. The Prime Minister was very interested to read the report by the Security Service on exploitation by subversive groups of last year’s civil disturbances which you sent me with your minute AO7560 on 19 February 1982. I am unsure why this report seems to be missing from the digitised file. Maybe it is something worth FOI-ing in the near future. 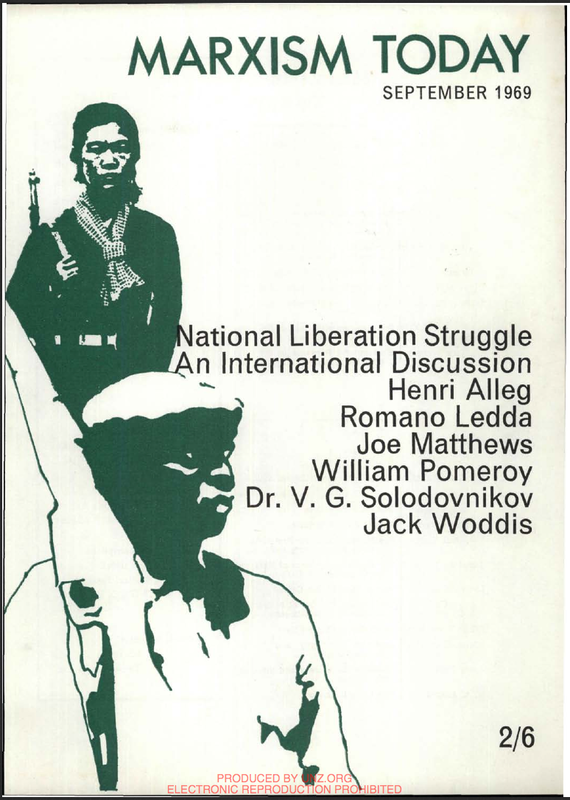 This is part 1 of a series of posts looking at how the CPGB responded to the national liberation struggle in Rhodesia and the establishment of Zimbabwe in 1978-79. It is an off-shoot from my research into relations between the CPGB and the South African Communist Party. Part 2 will look at the CPGB’s reaction to the Pearce Commission in 1972 and a possible Part 3 will look at how the Party viewed the negotiations between the Smith regime and ZANU/ZAPU between 1977 and 1979. It is pretty new stuff for me, so any feedback would be greatly appreciated. In 1965, Rhodesian Prime Minister Ian Smith announced the country’s Unilateral Declaration of Independence (UDI) from the British Commonwealth. Although there had been civil disobedience by the Zimbabwean people and the beginnings of an uprising prior to this, Smith’s (UDI) intensified the civil war in Rhodesia as the Smith white minority government fought two national liberation movements – the Zimbabwe African National Union (ZANU) and the Zimbabwe African People’s Union (ZAPU). Supported by South Africa and Portugal, the Rhodesian government fought these two movements from 1964 until 1978-79, when the Smith regime conceded power to the Patriotic Front (the combined forces of ZANU and ZAPU), ending white minority rule and the establishment of Zimbabwe. By the late 1960s, the wave of decolonisation had effectively swept over most of the African continent, with only the Southern African states, such as Mozambique, Angola, Rhodesia and South Africa holding out. Therefore Southern Africa became a focal point for anti-imperialists across the globe and flashpoint in the Cold War. The British left had, for the most part, supported decolonisation and opposed these states that continued to impose white minority rule in Southern Africa. Although the left’s efforts were primarily channelled into the Anti-Apartheid Movement (AAM) and campaigned mostly on South African issues, there was healthy support for the national liberation forces fighting the Smith regime in neighbouring Rhodesia. As allies of the African National Congress (ANC) and the South African Communist Party (SACP), the Communist Party of Great Britain (CPGB) was heavily involved in the AAM in Britain, and also involved in supporting ZAPU in the Rhodesian Civil War (which also had support from the Soviet Union). In a 1969 issue of International Affairs Bulletin, the journal of the Party’s International Department, the CPGB stated that the AAM and Fenner Brockway’s Movement for Colonial Freedom (soon to be Liberation) both greatly supported the Zimbabwean cause, but lamented that the labour movement had ‘not been sufficiently active on the issue’ (IAB, 3/4, Jan/Feb 1969, CP/CENT/INT/08/08, LHASC). ZANU certainly appears to take little or no part in the present armed guerrilla struggle being waged by the ZAPU-ANC alliance, except to make wild statements from time to time which are based more on imagination than on fact. From the political standpoint ZANU seems to rely on flamboyant proclamations far remote from the realities of the actual struggle. Between 1966 and 1968, Prime Minister Harold Wilson pursued negotiations to secure a new constitutional arrangement in Rhodesia, including majority rule for the country’s African population. 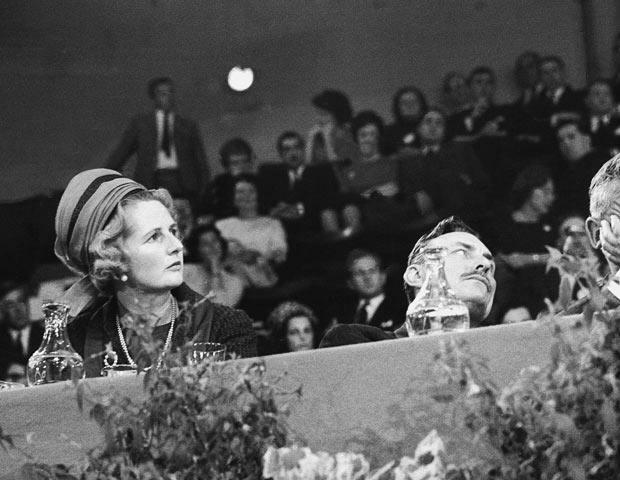 Labour agreed in principle to ‘NIBMAR’ (no independence before majority African rule), although it was more or less powerless to prevent Smith from maintaining Rhodesia’s self-declared independence after 1965. Smith was able to reject most overtures from Wilson and the Communist Party was of the opinion that there was little hope in these negotiations achieving anything of significance. For the CPGB, support for the armed struggle was paramount, even though a resolution pronouncing this support was defeated at the 1968 Labour Party Conference. It is essential to win support for an understanding of the reasons for the armed struggle, to lay the basis for winning not only moral and political support for the freedom fighters, but material support as well. Full moral and material support to the people of Zimbabwe in their struggle for liberation. Suspension of the 1961 Constitution and a fully representative conference to frame a new constitution based on universal adult suffrage and majority rule. The release of all political prisoners and detainees. The British labour movement must be won to ally itself with the movement at present campaigning for a reversal of these policies of betrayal and for support of the Zimbabwe peoples in their struggle for one man one vote and no independence before majority rule. However as the relationship between Britain and Rhodesia changed under the Heath govermment, which came into power in late 1970, the Party started to seek other forms of activism to highlight the struggle of the Zimbabwean people and not simply direct their efforts into pushing resolutions through the labour movement. This will be discussed in the next blog post on this subject. No Independence Before Majority Rule. No Negotiations with the Smith Regime. Comprehensive and mandatory economic sanctions. Moral and material support for the Zimbabwe people in their struggle for independence based on universal suffrage and majority rule. 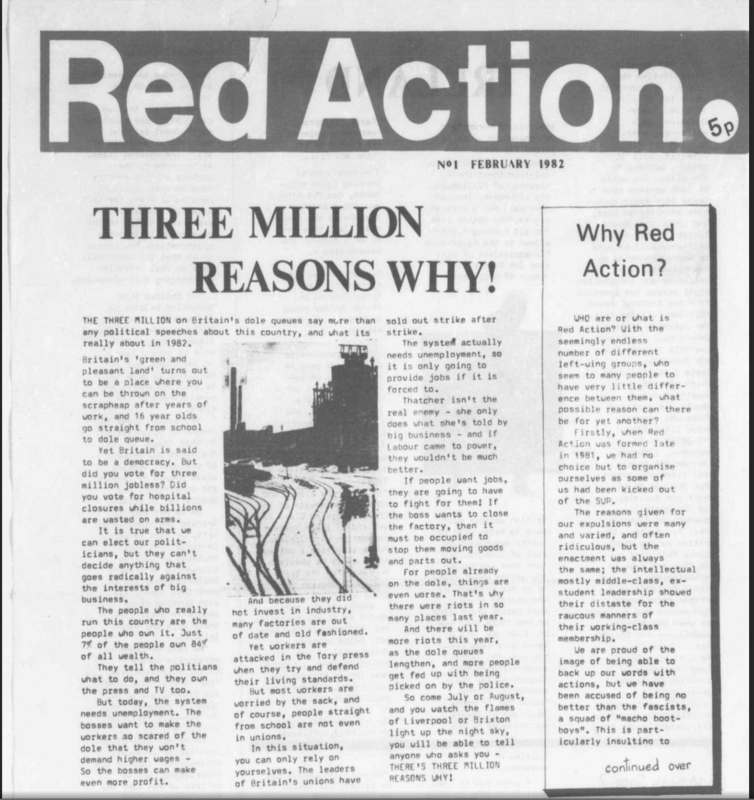 This is just a quick post to let people know that the text of Mark Hayes’ chapter for our book Against the Grain: The British Far Left from 1956 has been posted on Red Action’s website. Hayes’ chapter is titled ‘Red Action – Left Wing Political Pariah: Some Observations Regarding Ideological Apostasy and the Discourse of Proletarian Resistance’ and adds to the growing literature about Red Action and Anti-Fascist Action. As RA/AFA had strong links to Irish Republicanism, there is also a discussion of the group and Hayes’ chapter on the Cedar Lounge Revolution blog here. If you’re looking for something to spend your Christmas dosh on, you can pick up the book (with a slight discount) here. This is just a quick post to let the usual left-wing trainspotters that the Encyclopedia for Trotskyism Online (ETOL) has now digitised the entire run of two journals belonging to the Healyite Socialist Labour League (after 1973 the Workers Revolutionary Party). The first is Labour Review, which ran from 1952 to 1963. This was the journal of The Club, the group formed by Gerry Healy after the dissolution of the Revolutionary Communist Party in 1949 and coincided with The Club joining the anti-Pabloite Fourth International, led by the US Socialist Workers Party. 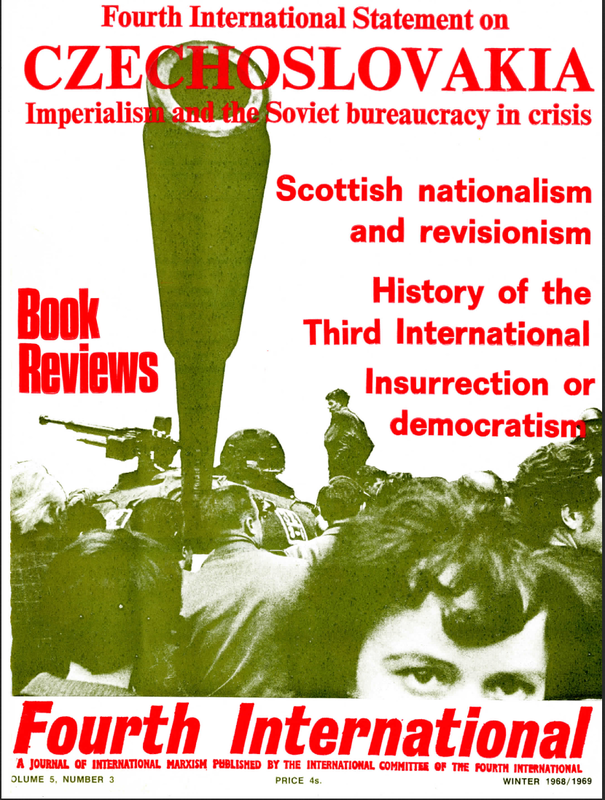 Labour Review is particularly interesting in the mid-to-late 1950s for its commentary on the split in the Communist Party of Great Britain and the emergence of the new left. The journal includes articles written by several former CPGB members including Peter Fryer, Brian Pearce and Peter Cadogan. The second is Fourth International. In 1963-64, the two wings of the Fourth International reunified, which was opposed by the SLL and the French International Communist Party. These two groups maintained the name of the International Committee of the Fourth International and published this journal. It was kept under SLL control until 1973, after which I’m not sure what happened, and re-appeared in 1978-79. This journal is rather more expansive than Labour Review but is much more dense. It does carry some interesting material, such as the SLL’s position on Vietnam, Ireland and the invasion of Czechoslovakia. However readers of the WRP’s daily paper Newsline will be disappointed that the apocalyptic tones of the Healyites is not that apparent in the pages of this journal. But in the last issue (Autumn 1979), you see an article by Alex Mitchell celebrating 10 years of Colonel Gaddafi’s rule in Libya, an association which the WRP unfortunately fostered throughout the 1980s. There is not a lot of SLL/WRP material on the internet, besides copies of The Newsletter from 1957-58 (see here), and this is a great resource for future research. 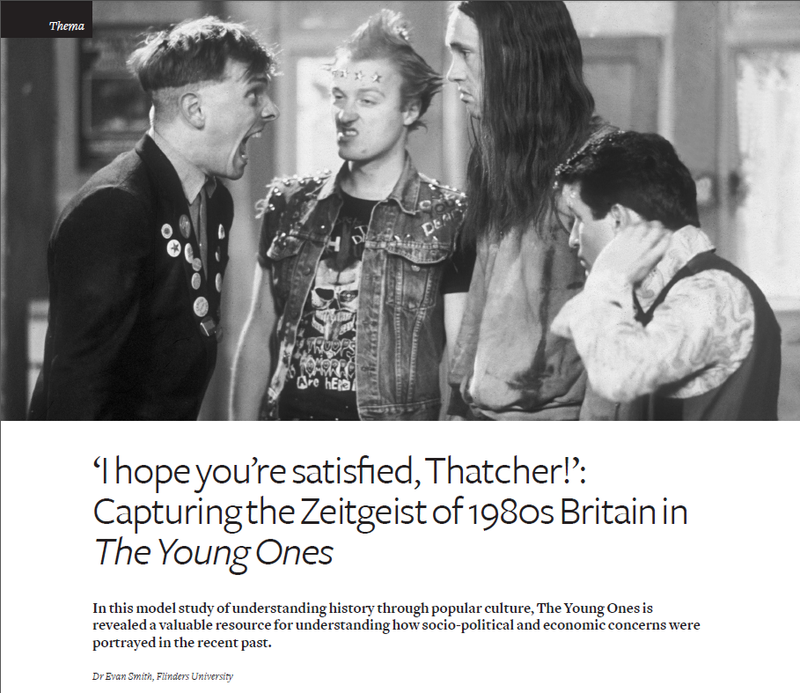 This is just a short post to let everybody know that my new article on depictions of Thatcherite Britain in The Young Ones has been published in Agora. A version of the paper can be found here. If you can’t access it properly, send me an email and I’ll ping one your way. As usual, feedback, critiques and praise is welcome. 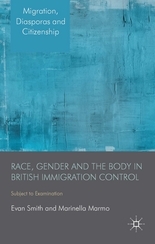 After the coverage of the number of recent deaths of black people at the hands of the police in the United States and the commentary about similar victims of police/prison brutality in the UK and Australia, I thought I would post this excerpt from our book Race, Gender and the Body in British Immigration Control. Although it concentrates on the immigration control system, it also talks about the concept of state crime more broadly and the importance of transforming how we look at the deaths, injuries and abuses suffered by ethnic minorities in the UK (as well as elsewhere) at the hands of state institutions. The theory of state crime is a relatively recent development in criminal justice research, particularly in relation to the discussion of the practices of governments in Western liberal democracies, where the rule of law maintains that a legitimate use of force may be wielded by the institutions of the state, and effectively ‘consented’ to by the people who elect the government. This relates to the idea of ‘sovereignty’ – that a country has the right to solely determine its own laws (and enforce them) within its borders – although many scholars have argued that this idea of sovereignty is a myth. Conduct by persons working for state agencies, in pursuit of organizational goals, that if it were to become known to some social audience would expose the individuals or agencies concerned to a sufficiently serious risk of formal or informal censure and sanctions to affect their conduct significantly. It is taken as implicit by Green and Ward that ‘passive failures to protect individuals against violations of their rights’ are also included within this definition of state crime. Green and Ward also point out that there is a difference between ‘individual deviant acts committed by state agents’ and ‘acts committed in pursuit of organisational goals’, with only the latter constituting state crime. Michael J. Lynch and Raymond Michalowski emphasise the term ‘organisational’ in the concept of state crime, proposing that often those who commit human rights abuses ‘are not morally depraved’, but are usually ‘ordinary workers who come to accept the normalcy of an organisational culture in which these acts, even if regrettable, are understood as simply part of their jobs’. We have seen this in the history of abuses within the British immigration control system, as the government has tried to refute such abuse by attributing it to an individual (or individuals), usually at the lower levels, acting outside the parameters of their job. But it is often the case that the individuals are under pressure and informed from above, which creates the opportunity for abuses to occur. In the area of immigration control policy, with a particular focus on Australia’s immigration control policy, Sharon Pickering and Michael Grewcock have both utilised he concept as developed by Green and Ward to highlight how the modern discourses that criminalise irregular migration (by refugees and asylum seekers) provide the context for state crimes to occur whereby these migrants become the victims. Grewcock states that Australia’s treatment of refugees and asylum seekers has been long criticised for ‘breaching human rights norms’, but notes that ‘few legal or formal sanctions have operated against Australian government policy’. Along similar lines, Pickering points out that over the past decade and a half, ‘Australia has retreated from its international human rights obligations and has sought to particularly distance itself from its international human rights obligations to refugees’. However, any condemnation by the international community has been interpreted by many in Australia as ‘an attempt to undermine the policies and practices of a democratically elected government’. A ruling government is unlikely to prosecute itself for state crimes, even if its practices do constitute a violation of human rights, are institutionally embedded and are conducted in pursuit of the goals of the state. So what is the point of labelling these practices as state crimes? Pickering and Grewcock both argue that labelling a certain practice or act as a state crime allows a space for a challenge to be made within civil society and an alternative view of the ‘refugee question’ to emerge. As Pickering concludes in a 2005 article, the use of the term ‘state crime’ ‘may assist in the deployment of alternative meanings for legitimate sovereign behaviour and the terms through which its legitimacy may be judged’. Controlled borders, let alone closed borders, are a fiction, and … the European and other governments which attempt to enforce these are involved in a symbolic battle at best. It is within this symbolic battle, Schuster claims, that there are ‘very real serious costs and consequences’ of the enforcement of immigration control, not only for migrants but also for the destination countries. In addition to the massive financial costs of maintaining border control, hundreds of migrants die or are injured while seeking to gain entry to the destination country and there is an ‘increase in racial prejudice and racial violence each time migration controls become the focus of political attention’. The figures on how many have died, been injured or been physically or mentally abused within the British immigration control process are incomplete, and only cover a much more recent period of time than that examined in this book. For example, Harmit Athwal for the Institute of Race Relations (IRR) states that, between 2006 and 2010, ‘77 asylum seekers and migrants … have died either in the UK or [while] attempting to reach the UK’. Of these 77, 15 died ‘taking dangerous and highly risky methods to enter the country’, 44 died ‘as an indirect consequence of the iniquities of the immigration/asylum system’ (with 28 of those committing suicide), seven died in police custody, seven died ‘at the hands of racists or as a consequence of altercations with a racial dimension’ while out in the community and four died while undertaking work in the ‘black economy’ as irregular migrants who are not provided with any state assistance. 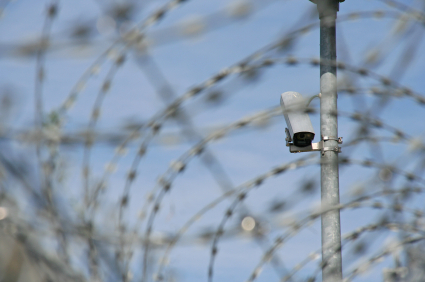 After the deaths of three migrants in Colnbrook Immigration Removal Centre in July and August 2011, Athwal reported on the IRR website that 14 people had died in British immigration detention centres since 1989. These reported figures are most likely to be underestimates of the real size of the problem and Athwal suggests that there may be more, such as those who die while trying to enter Britain, those who are repatriated to a place where they fear for their safety and those who die while working in the ‘black economy’. Athwal also emphasises that these figures do not include the violence experienced by settled migrants and the next generations, at the hands of either other members of the community or institutions of the state, such as the police. Another IRR study from 2010 found that 89 people had died as a result of racial violence since 1993 (the year of Stephen Lawrence’s murder), while the IRR website claims that over 140 black and ethnic minority people died in police custody between December 1978 and November 2003. [t]he majority of border-related deaths can be attributed to the ‘structural violence’ of border controls – that is, to systemic effects that multiply the risks of death and injury faced by illegalised travellers. And like the Australian context, in Britain the migrant has little recourse against state crimes. Mary Bosworth and Mhairi Guild have explained that the migrant is in a ‘substantially different, and far more vulnerable, position’ than the domestic criminal, and the ‘British immigration complex does not encounter the same [legal] constraints as the [domestic] criminal justice system’. Liz Fekete has lamented that ‘[n]ot one of the twelve deportation deaths the IRR has documented since 1993 [to 2007] has led to a police officer or immigration official being successfully prosecuted for murder or the lesser charge of manslaughter’. The death of migrants is not the only basis on which to justify use of the term ‘state crime’. Serous abuse and physical and psychological harm at the hands of the state can be classified as state crime. And the practice of virginity testing reveals that the maltreatment of vulnerable migrants is not reserved to irregular migrants. Moreover, migrants showing up at the border with documents are subjected to state abuse. This demonstrates that state crime at the border can take many forms, and more often than not goes unreported and remains unknown. However, these abuses can be explained as a consequence of attempts to achieve the organisational goals of the immigration control system: the ‘desire for order’ and the aim of preventing ‘undesirable’ migrants from entering the country. This raises a question in relation to the cases of abuse seen in the British immigration control system and in the Australian system: can these abuses be considered ‘state crimes’ as defined by Pickering, Grewcock, and Green and Ward? Clearly, similar abuses have occurred in both immigration control systems. And by the definition put forward by Green and Ward, as used by Pickering and Grewcock, these abuses could indeed be defined as state crimes, pursued in the process of state organisational goals. What is the purpose of calling these abuses state crimes? It must be to redress the balance in the discourse on how migrants are treated within the British immigration control system. The present discourse is framed by a popular assumption that migration is a transgressive act that must be responded to with the full force of the coercive powers of the state, which often surpasses the ‘legal’ limits of this coercion. By highlighting the actions of the state as a form of criminal activity, rather than focusing on the possibility of people entering the country under false pretences, we are hoping for a shift in the dominant discourse. See David Garland, ‘The Limits of the Sovereign State: Strategies of Crime Control in Contemporary Society’, British Journal of Criminology, 36/4 (Autumn 1996) pp. 445-471; Saskia Sassen, Losing Control? Sovereignty in an Age of Globalization (New York, 1996). Penny J. Green and Tony Ward, ‘State Crime, Human Rights and the Limits of Criminology’, Social Justice, 27/1 (2000) p. 102. Green & Ward, ‘State Crime, Human Rights and the Limits of Criminology’, p. 108. Green & Ward, ‘State Crime, Human Rights and the Limits of Criminology’, p. 110. Green & Ward, ‘State Crime, Human Rights and the Limits of Criminology’, p. 111. Michael J. Lynch & Raymond Michalowski, Primer in Radical Criminology: Critical Perspectives on Crime, Power and Identity (Mansey, NY, 2006) p. 186. Michael Grewcock, Border Crimes: Australia’s War on Illicit Migrants (Sydney: Institute of Criminology, 2010) p. 18. Sharon Pickering, Refugees and State Crime (Sydney: Federation Press, 2005) p. 13. Pickering, Refugees and State Crime, p. 14. Sharon Pickering, ‘Crimes of the State: The Persecution and Protection of Refugees’, Critical Criminology, 13 (2005) p. 160. Liza Schuster, ‘An Open Debate on Open Borders: Reply to Stephen Castles’, Open Democracy (29 December 2003) http://www.opendemocracy.net/print/1658 (accessed 18 November 2009). Schuster, ‘An Open Debate on Open Borders’. 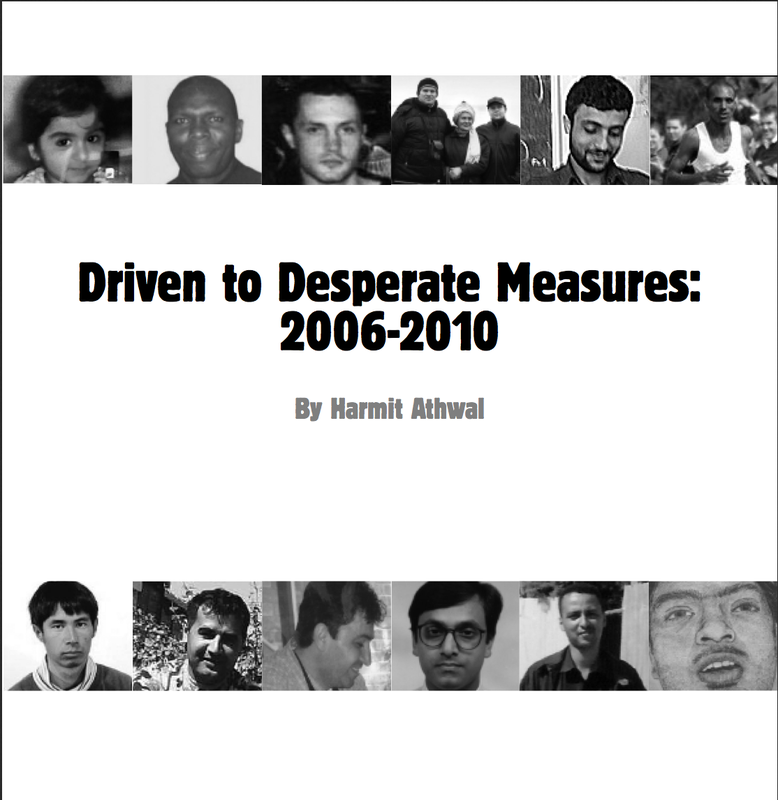 Harmit Athwal, Driven to Desperate Measures: 2006-2010 (London, 2010) p. 2. Athwal, Driven to Desperate Measures, p. 2. Harmit Athwal, ‘Three Deaths in Immigration Detention’, IRR website (4 August 2011) http://www.irr.org.uk/2011/august/ha000008.html (accessed 26 August 2011). Harmit Athwal, Jenny Bourne and Rebecca Wood, Racial Violence: The Buried Issue, IRR Briefing Paper 6 (London, 2010) p. 3. IRR, ‘Black Deaths in Custody’ (19 February 2004) http://www.irr.org.uk/2002/november/ak000006.html (accessed 26 August 2011). Leanne Weber, ‘Knowing-and-yet-not-knowing about European Border Deaths’, Australian Journal of Human Rights, 15/2 (2010) p. 41. Mary Bosworth and Mhairi Guild, ‘Governing through Migration Control: Security and Citizenship in Britain’, British Journal of Criminology, 48 (2008) p. 711. Liz Fekete, ‘Europe’s Shame: A Report on 105 Deaths Linked to Racism or Government Migration and Asylum Policies’, European Race Bulletin 66 (Winter 2009) p. 5.